I have been living in Alabama for two weeks now, and I absolutely love it! 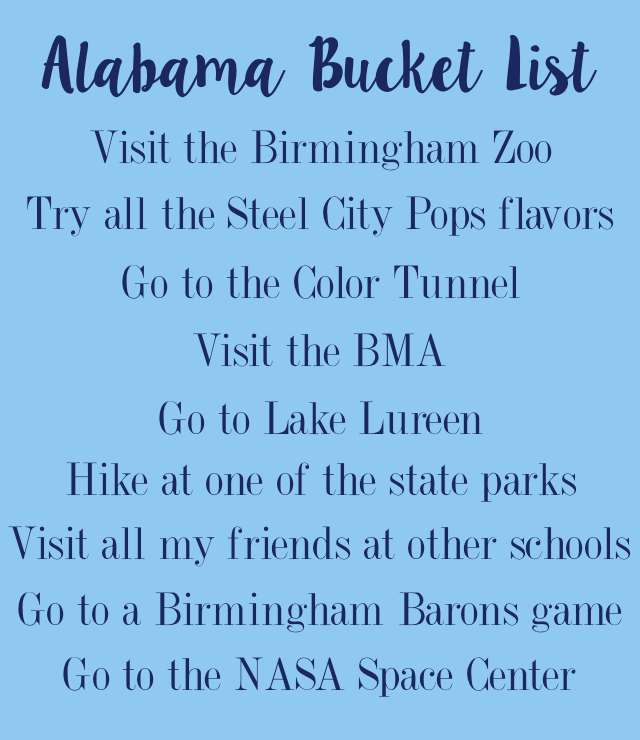 Of course, there is so much I want to do in Tuscaloosa, but there is a ton I want to do in the state in general. A lot of this is in Birmingham because one of my best friends, Katie, is going to UAB, and I am so excited to visit her. I am so excited to be living in a new place and having more places to explore and adventure.